While many people see abandoned spaces as battered and useless, many architects see inspiration for a grand transformation. The following eight projects rejuvenated derelict buildings into usable, vibrant locations for bustling new businesses or cozy homes. Through adaptive reuse and creative restructuring of space and materials, each designer has embraced the passage of time, blending old with new in unique and surprising ways. 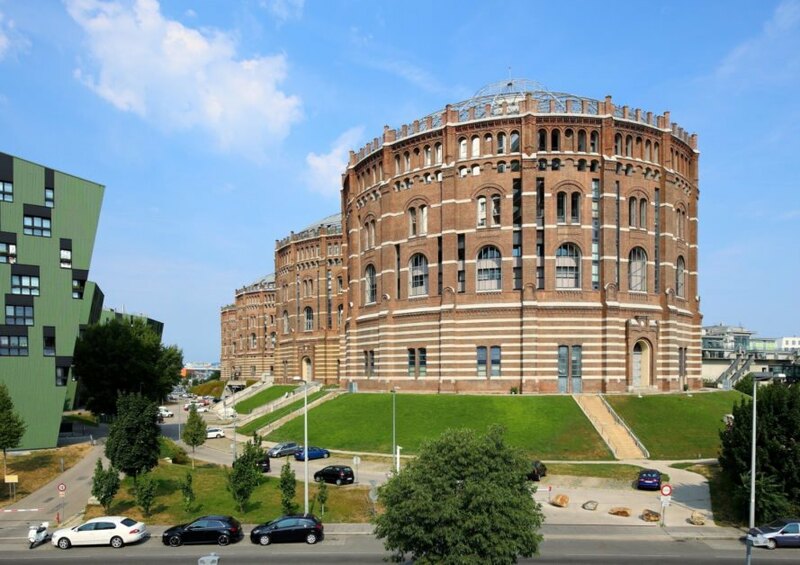 These century-old Viennese gas tanks were all but forgotten until a decade ago, when several starchitects (at the invitation of local neighbors) transformed them into vibrant residential communities. After being decommissioned in the 1980s, these leftover structures from old gas utility companies were renovated into mixed-used communities with apartments, shops, and other amenties, by Jean Nouvel, Coop Himmelb(l)au, Manfred Wehdorn, and Wilhelm Holzbauer. The 230-foot, brick-clad structures, which now house 615 apartments, a student dormitory, a daycare center, offices, over 70 shops, restaurants, and bars, as well as the Vienna National Archive, first had to be registered as heritage sites in order to avoid demolition. Their complete transformation into thriving communities is nothing short of incredible. The Gasometers have become little cities within a city, and have developed a unique village character in each building. Architects, urban planners and sociologists around the world study the gasometers as a model of successful adaptive reuse and community planning. The old Royal Bank of Canada headquarters is open for business again after six years of lying dormant, except now new tenants have joined the mix. The ornate space has been transformed into the Crew co-working space with minimal changes to the historic decor. 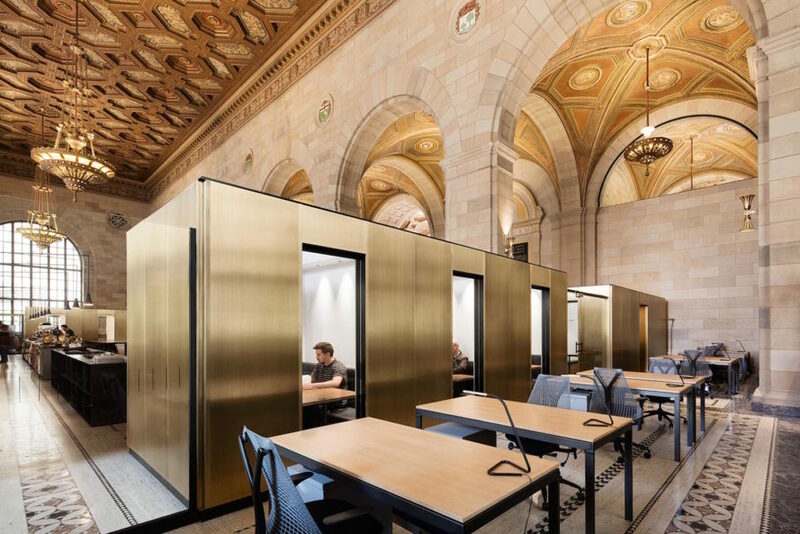 Montreal’s dedicated freelancers can pay a $450 monthly fee to access open desks, brass-clad private rooms, a cafe, and conference rooms in these stunning surroundings. The 50-foot-tall vaulted ceilings and glowing chandeliers serve as a throwback to the original 12,000-square-foot building constructed in 1928. Architect Henri Cleinge led the transformation, carefully preserving original elements. Zhengzhou used to be known for its imbalance of newly built buildings and people living and working in them. The former “ghost city” has been making a comeback and the architecture firm Crossboundaries has helped the rebranding with an abandoned building born again as a bright and colorful kindergarten. The Soyoo Joyful Growth Center now stands where three empty, decade-old circular structures once stood. Colorful ropes, diagonally installed from roof to ground, create a warmer facade, while cantilevered tubes popping out from the structure frame the view from inside. An interactive interior “subway” system of colored paths helps allows children explore different areas of their environment with the explicit goal of boosting their creativity. 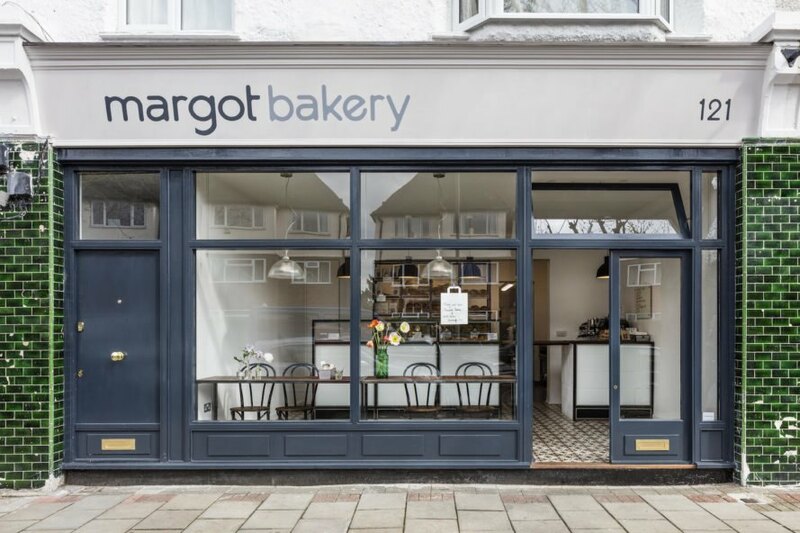 Finding inspiration in an old post office in London’s East Finchley, architect Lucy Tauber revitalized the space so Margot Craft Bakery could move in. The renovation takes advantage of an existing glazed shopfront that allows passersby to admire the displayed baked goods and bustle of the staff in the kitchen. The minimalist interior design provides a clean and inviting atmosphere, with the pop of handmade cement floor tiles and reclaimed teak counters. Framing these elegant features are a backdrop of steel and ribbed glass, mixing industrial with old-fashioned Parisian design. Stroll into this abandoned Santa Fe bowling alley and you will find an oversized, glow-in-the-dark game in the space. 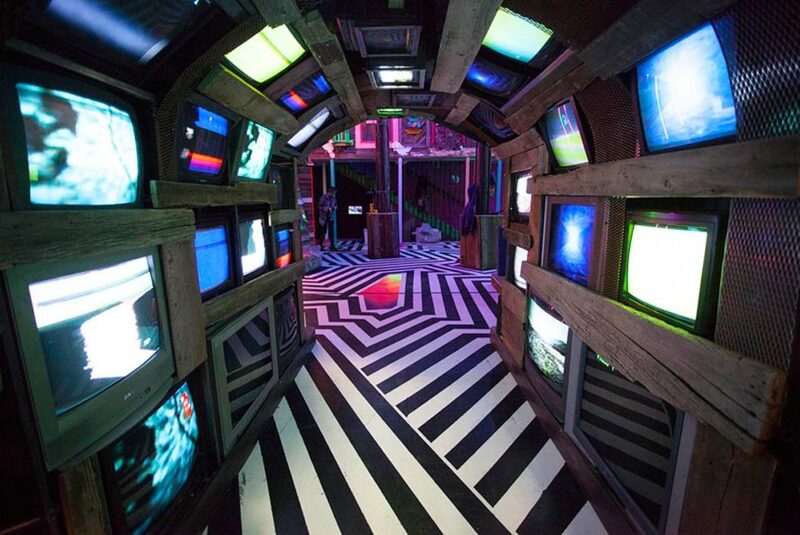 Meow Wolf, an artist collective, transformed the building, called The House of Eternal Return, to include mind-bending rooms, colors, and props that work together to give visitors clues about the fictional Selig family and their plight. The interactive adventure, which took six writers and 150 artists to design, allows guests to roam throughout the massive 20,000-square-foot attraction. It is open to the public and is the sister project of St. Louis’ famous City Museum. Archi-Union Architects gave a former chemical fiber factory a modern-industrial makeover. Designed for a ceramic artist in need of a showroom and workspace, the Shanghai space underwent a chic revival for its new tenant. An extra floor, topped with slatted timber, was added to the Ceramic House to increase square footage, leaving most of the original concrete and brick framework intact. Large windows and an airy balcony bring in natural light, illuminating contemporary features against an industrial backdrop. Instead of letting an abandoned 19th century bakery fade away into obscurity, Jo Cowen Architects revamped the space, including a nearby lodge, granary, and coach house, into a luxury housing development. London’s Bakery Place now holds 11 residential units with clean lines and modern design. The throwback cobblestones, exposed brick, and cast iron columns mingle with contemporary herringbone flooring, and stark white walls contrast with industrial fixtures. From the 1898 construction, the space has experienced a rebirth while still paying homage to its historic roots. 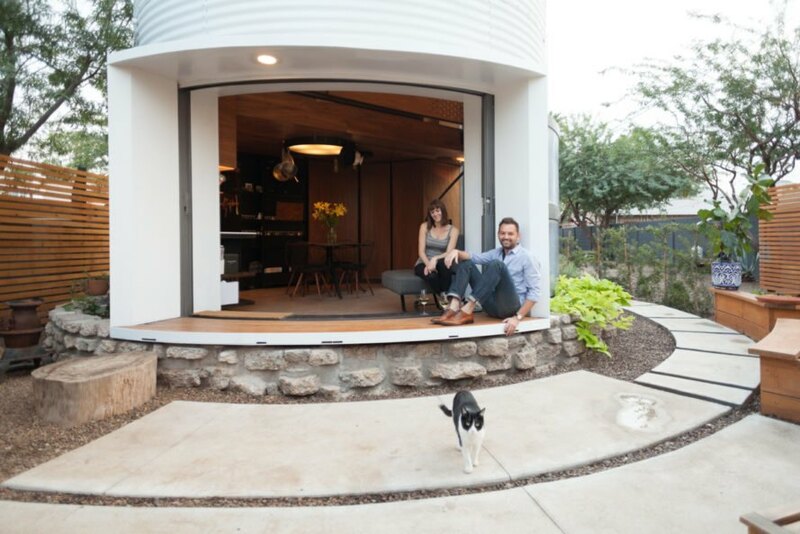 Mid-century grain silo becomes a gorgeous, two-person tiny house The last thing that comes to mind when thinking of an old 1950s grain silo is a perfect, cozy spot for a home, but that is exactly what architect Christoph Kaiser and his wife envisioned. After purchasing a dismantled midcentury silo and moving it to their downtown Phoenix plot, Christoph went to work customizing doors and windows for the home. Spending just $350 on scrap walnut planks found on Craigslist, he was able to create curved fixtures and platforms that fit perfectly in the circular space. The loft bedroom, bathed in natural light emanating from a skylight, is accessible by a spiral staircase. The 340-square-foot home is accompanied by plenty of outdoor space for lounging and gardening. 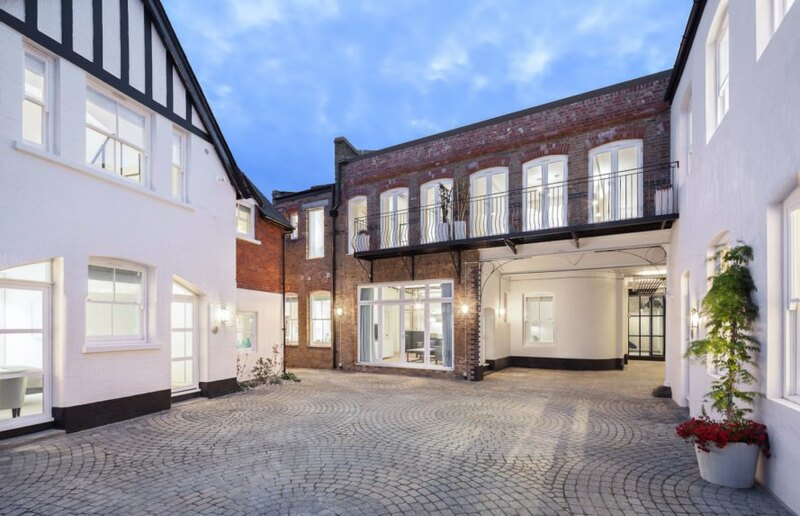 Neglected London bakery transformed into beautiful luxury housing Instead of letting an abandoned 19th century bakery fade away into obscurity, Jo Cowen Architects revamped the space, including a nearby lodge, granary, and coach house, into a luxury housing development. London’s Bakery Place now holds 11 residential units with clean lines and modern design. The throwback cobblestones, exposed brick, and cast iron columns mingle with contemporary herringbone flooring, and stark white walls contrast with industrial fixtures. From the 1898 construction, the space has experienced a rebirth while still paying homage to its historic roots. A vibrant kindergarten pops up in a former Chinese “ghost city” Zhengzhou used to be known for its imbalance of newly built buildings and people living and working in them. The former “ghost city” has been making a comeback and the architecture firm Crossboundaries has helped the rebranding with an abandoned building born again as a bright and colorful kindergarten. The Soyoo Joyful Growth Center now stands where three empty, decade-old circular structures once stood. 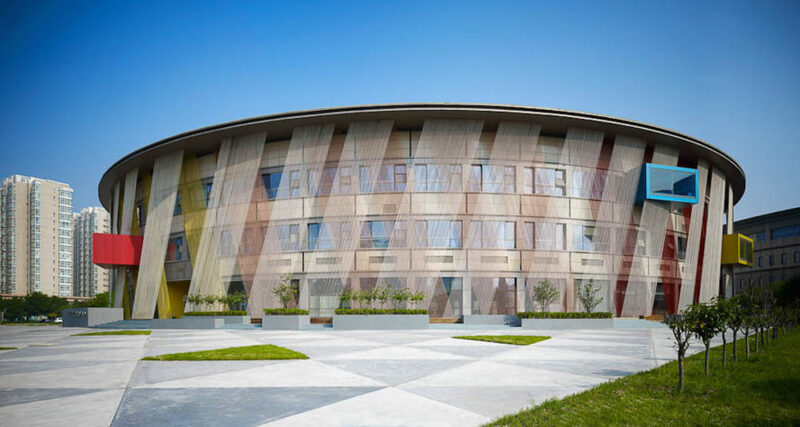 Colorful ropes, diagonally installed from roof to ground, create a warmer facade, while cantilevered tubes popping out from the structure frame the view from inside. An interactive interior “subway” system of colored paths helps allows children explore different areas of their environment with the explicit goal of boosting their creativity. Meow Wolf turns abandoned bowling alley into a fantastic glow-in-the-dark game Stroll into this abandoned Santa Fe bowling alley and you will find an oversized, glow-in-the-dark game in the space. Meow Wolf, an artist collective, transformed the building, called The House of Eternal Return, to include mind-bending rooms, colors, and props that work together to give visitors clues about the fictional Selig family and their plight. The interactive adventure, which took six writers and 150 artists to design, allows guests to roam throughout the massive 20,000-square-foot attraction. It is open to the public and is the sister project of St. Louis’ famous City Museum. Derelict London post office transformed into an artisanal bakery Finding inspiration in an old post office in London’s East Finchley, architect Lucy Tauber revitalized the space so Margot Craft Bakery could move in. The renovation takes advantage of an existing glazed shopfront that allows passersby to admire the displayed baked goods and bustle of the staff in the kitchen. The minimalist interior design provides a clean and inviting atmosphere, with the pop of handmade cement floor tiles and reclaimed teak counters. Framing these elegant features are a backdrop of steel and ribbed glass, mixing industrial with old-fashioned Parisian design. 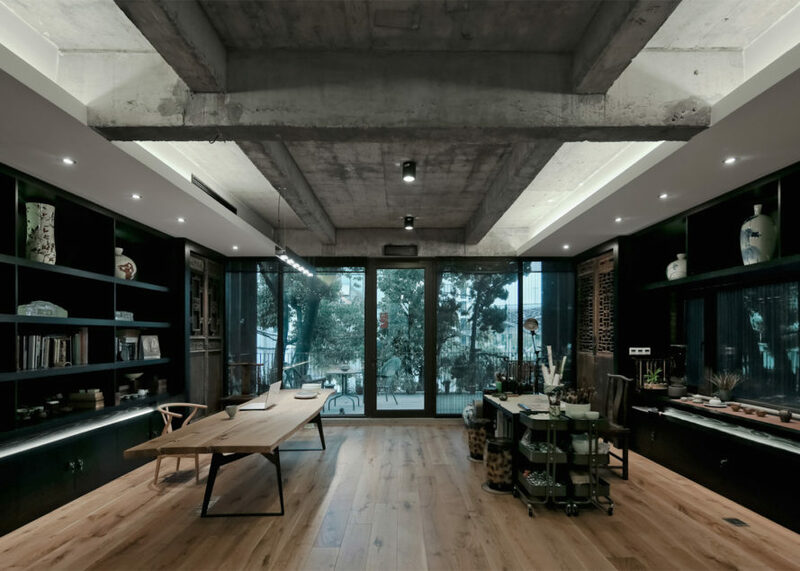 Abandoned Shanghai factory is now an industrial-chic Ceramic House Archi-Union Architects gave a former chemical fiber factory a modern-industrial makeover. Designed for a ceramic artist in need of a showroom and workspace, the Shanghai space underwent a chic revival for its new tenant. An extra floor, topped with slatted timber, was added to the Ceramic House to increase square footage, leaving most of the original concrete and brick framework intact. Large windows and an airy balcony bring in natural light, illuminating contemporary features against an industrial backdrop.